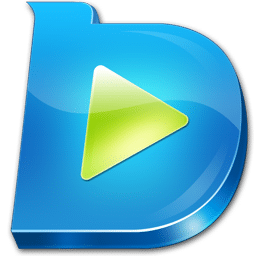 Leawo Blu-ray Player is a FREE software, which contains all media playback solutions you need for your leisure entertainment. It acts as free Blu-ray disc player, free DVD disc player, free HD video player (free 4K video player), free ISO file player, and free music audio player. Being a free Blu-ray disc player software app, it plays Blu-ray discs for totally free, and downward compatible with DVD discs playback, no matter they are commercial or regular. Meanwhile, as free DVD player, it’s not only a free DVD disc player, but also free DVD player to play back DVD folder and DVD ISO image file for totally free. It’s also a free 4K video player to deliver extraordinary image and audio experience via 4K displays. It’s cable of playing 4K video in MKV, MP4 and TS formats, 1080P videos in HD MP4, HD MKV, HD MOV, etc., 720P videos in MP4, AVI, MKV, and other formats, be it camcorder reordered footage, downloaded online video, or streamed video. With advanced image and audio processing technology, Leawo Blu-ray Player delivers superb movie experience, offering you cinema-like enjoyment with your home theatre system. This free Leawo Blu-ray Player supports to deliver quality-lossless video images with resolution of 720P, 1080P, 1080i and 4K (2160P). Together with 4K content and a 4K display, you could download Windows Blu-ray player freeware to get Ultra HD movie experience at home. With the support of various advanced audio decoding technologies like Dolby, DTS, AAC, TrueHD, DTS-HD (including 5.1, 7.1 channels), etc., Leawo Blu-ray Player provides you with high quality of stereo audio enjoyment. The superb movie experience not only comes from quality lossless video and audio, but its capability of playing all Blu-ray and DVD discs as well. This free Blu-ray disc player could play Blu-ray discs of region A, B and C, and DVD discs from region 0 to 6. Different from other Blu-ray disc player apps that require you to change the player region and limit you changing player regions by up to 5 times, this free Blu-ray disc player doesn’t even require you to set the player region. Behind the curtain, it would decrypt any Blu-ray disc and then play for you. Leawo Blu-ray Player not only provides full navigation to play Blu-ray, DVD, video, ISO file and audio files. It also allows users to control playback with various operations available: full-screen playback, volume control, fast-forward, fast-backward, playlist, etc. Virtual remote controller. Select what to play on disc menu during Blu-ray/DVD disc playback via virtual remote controller. Useful power manager. Preset the power volume to indicate battery status for better battery protection during movie playback. Custom skin, language, background. Change program skin, interface language and background according to your own preferences. Snap screenshots. Take screenshots during movie playback anytime you like and save in either JPG, PNG or BMP format. Sophisticated program settings are displayed in a novice friendly way. Leawo Free Blu-ray Player software has done all program settings for you automatically, but, not against any of your willing of changes. These make it the best free software to play Blu-ray on Windows, and DVD, video, audio, ISO file, etc. During playback, this free Blu-ray playback software offers rich settings on video, audio and subtitles for better movie experience, like changing video and audio effect, selecting subtitle, adding external subtitle, etc. Leawo Free Blu-ray Player software would automatically associate all files in the formats it could recognize and play back. However, on the program settings panel, you could change the file association as you like. For better movie experience, Leawo Blu-ray Player allows you to freely change video aspect ratio from zoom, stretch 2:3, wide zoom, stretch 16:9, and original, or even custom aspect ratio. Leawo Blu-ray Player is light and fast to start up, and loads fast for instant playback. No playback stuck, blurred screen and video-audio out-of-sync.